The City of Joondalup is the ideal base to explore the many beaches and sights of the capital city of Western Australia. 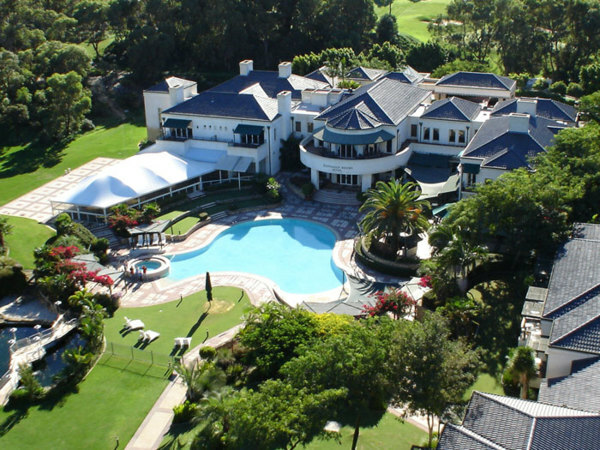 From coastal accommodation to resort-style gateways, and from caravan parks to city centre apartments, you’re sure to find the perfect place to call home during your next holiday. Far enough away to truly unwind, and close enough to easily enjoy everything Perth has to offer, Joondalup Resort welcomes you to an oasis of relaxation, stunning tranquil bushlands and world-class golfing facilities. Joondalup Resort offers 70 luxurious hotel rooms with spectacular views on the 27-hole championship golf course, as well as an outdoor lagoon style swimming pool and heated spa, a mini gymnasium, a cosy English style pub, a café and an award-winning restaurant offering both a la carte and buffet style cuisine. Joondalup Resort has state-of-the-art conference and meeting facilities for private celebrations and corporate events and is one of Perth’s most fantastic wedding destinations. Joondalup Resort hosts regular social events and quality night-time entertainment. Come and celebrate a special occasion with family or organise your next night out with friends at the resort. Quality Resort Sorrento Beach is only a stone’s throw from the postcard perfect Sunset Coast sunsets. It is indeed the closest resort accommodation to the beach in Western Australia. It is only a short walking distance to the bustling dining and entertainment hub of Hillarys Boat Harbour and the ferry departure point to Rottnest Island. 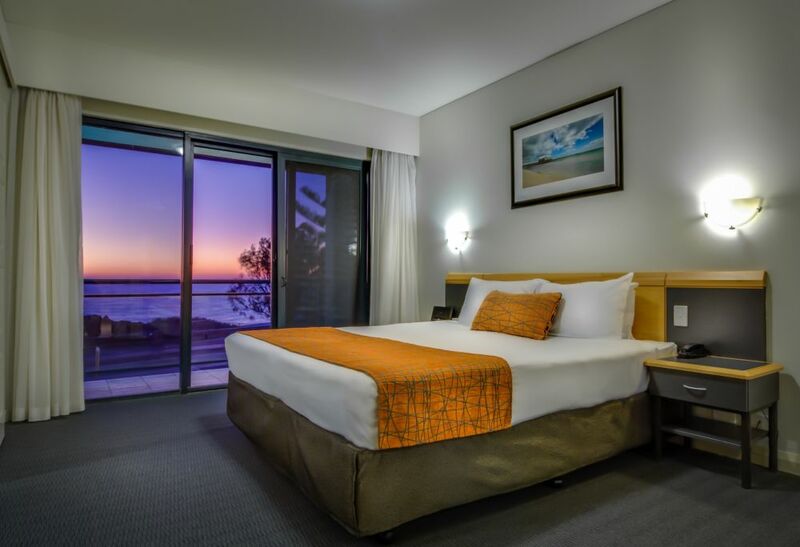 Quality Resort Sorrento Beach offers a mix of four-star hotel rooms and luxury spa suites for romantic gateways as well as two and three-bedroom holiday apartments for family beach holidays and large sporting groups. 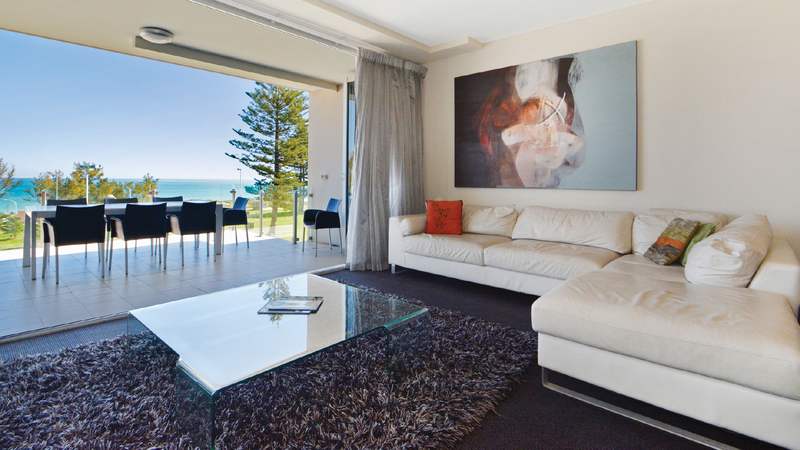 Quality Resort Sorrento Beach has boardrooms and meeting rooms available for conferences. Mullaloo Beach Hotel is a premium boutique hotel with twelve exclusive two and three-bedroom luxury suites, all finished to a five-star standard and posing uninterrupted ocean views. Mullaloo Beach Hotel’s facilities include the ocean view restaurant and the ocean view bar that hosts live music and entertainment seven nights a week as the sun sets over the Indian Ocean. Mullaloo Beach Hotel caters for all types of private functions and corporate events. 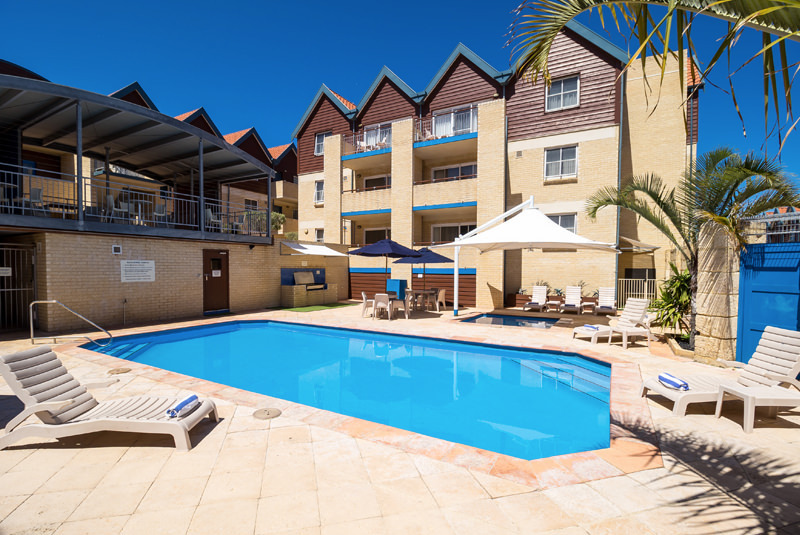 Hillarys Harbour Resort Apartments offers a selection of one to three-bedroom self-contained and serviced apartments in the heart of Hillarys Boat Harbour. Right outside your apartment door, you will find a variety of specialty shops, cafes and restaurants, and close access to some of the region’s tourism attractions such as the Aquarium of Western Australia. Situated amongst stylish cafes and restaurants, Churchill’s luxury serviced apartments are perfect for those wanting to experience everything Joondalup City Centre has to offer from the convenience of their doorstep. Burns Beach Sunset Village is a peaceful and secluded beach front caravan park providing holiday tourist accommodation for recreational visitors with their own caravans or RV’s. Burns Beach Sunset Village also offers one and two-bedroom chalets. Cherokee Village located in Kingsley offers comfortable self-contained chalets in a quiet, secure and friendly caravan park. A selection of shady grassed sites has also been set aside for tourists with their own caravans, motor-homes or who are camping. There are a number of additional accommodation types including holiday rentals and bed and breakfasts within the City of Joondalup. Potential visitors are advised to make direct contact with providers to investigate accommodation rates, availability and suitability. Please note that the City has no affiliation with the providers listed and can make no representation or guarantee to the standard, class or suitability.